On the sudden realization that it was about time, Rob Oswin has returned to the studio. 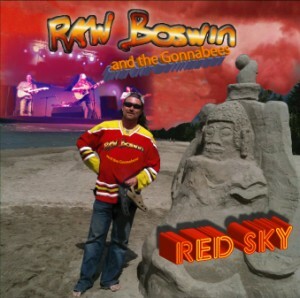 Rob Oswin is quite possibly the next “Big Thing” to come out of Calgary. Blending good old fashioned Alberta-Boy rock roots with new found Canadiana folk influences, Rob has crafted some great songs for the CD. Like everything in Rob’s life, the story of these songs and recordings is a long one. Back in February 97, Rob Oswin won a Christmas song writing contest with a song called “Verry Merry Christmas”. He received 10 hours of studio time at EK Sound with Dave Harrison engineering. Fellow Calgary musicians Ian MacDonald, Walter Marx and Ron Casat joined Rob in the session. These tapes were subsequently forgotten about until now. The session tapes were rediscovered and used to produce six of the beds on the new CD. 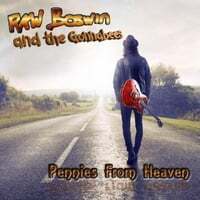 Presently under construction at Airwaves Recording Studios with Danny Patton at the helm, the CD promises to be Rob’s best work to date. Danny has worked with some of Calgary’s best musicians including Jan Arden. 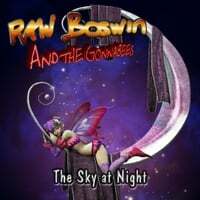 This eclectic mix of acoustic folk rock, spattered with jazz, country, blues and melodramatics, is seamlessly tied together with thoughtful lyrics and Rob’s unique vocal style. Some have compared his writing to Lyle Lovett and Elvis Costello, but if you listen close you will hear a cast of thousands. Rob is influenced by a lot of great musicians and writers, but when asked if he tries to emulate anyone in particular he shrugs. Lately, Rob has been writing and performing a “folkier” style of music. He blames it on the influence of the local Maritimers in the local Calgary scene. As a result, Rob fancies himself the “Original Prarietimer”. He claims he has gone so far as to change his hometown to Edmontongonish, a small fishing village about 3000 miles west of Antigonish??? Expect to hear guest appearances from various local and not so local music scene heroes. This recording is quickly turning into a gem that everyone will need to have in their CD collections. Long Live Independent Music!! !